Nowadays, polymer technology is everywhere. The super tough plastic housings that frame cellphones are made of polymers. Car parts are made from durable plastics, which is just another name for a polymer. Then, in glues and adhesives, the same complex molecular chains create the linkages that gift liquid fasteners with an unbreakable chemical backbone. It’s these chains that fall under our virtual microscope today. It’s worth taking a closer look at these bonded compounds. In a way, they’re building blocks, with all their parts suspended in a chemical soup. It’s when the small polymer chains lock together to form macromolecules that the adhesion process takes place. Picture the smaller polymer linkages wetting two substrates. The fluid is viscous and tacky. Special hardeners and curing agents swing into action. Polymerization is taking place. The bonding surfaces are being held by polymer technology, a substance that’s curing because the small chains are transforming into larger chains. The large-scale properties of a plastic part, perhaps one made in a mould, are incorporated into adhesives. The plastic part is maybe slightly elastic and able to yield to the occasional hard impact. The next product off that assembly line is hard. It’s tough enough to stop abrasive scratches from taking hold. 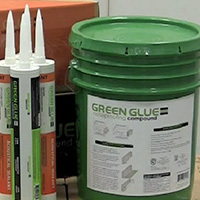 The chemical formulations we’ve promoted so much in earlier articles use this material customisation feature to imbue glues and adhesives with specific characteristics. A viscoelastic compound, for example, gains elasticity from the molecular chains of the polymer. Likewise, the cyanoacrylate family (superglues) uses n-butyl and ethyl and methyl monomers to produce a fast-acting bond. Polymerization takes place very quickly as the smaller monomer building blocks react and form a macromolecule. Interestingly, that bond is strong but it was also once quite brittle. Polymer technology corrected that one drawback by injecting small amounts of rubber into the compound. Glutinous compounds are blended with many polymer groups. Acetates and cyanoacrylates, ethylene vinyl and polyurethane, all of these suspended monomer linkages are polymers. They add waterproofing features to the product, or maybe they bond in seconds. Either way, they need a carrier, a solvent or water-based carrier that will host the molecular chunks. Sometimes these compounds don’t even exist in the same tube. Instead, the curative agent and the epoxy resin are mixed after they leave their twin tubes. Still, despite this difference, the catalytic reaction still cures, so polymerization exists here just as it does in any other glue or adhesive.